The birth of the new South-West Asian Football Federation has been interpreted by some as a sign of Saudi Arabia's ambition to dominate/undermine the Asian Football Confederation. CHENNAI: There's a new player on the Asian football scene and it could drastically change things for Indian football. 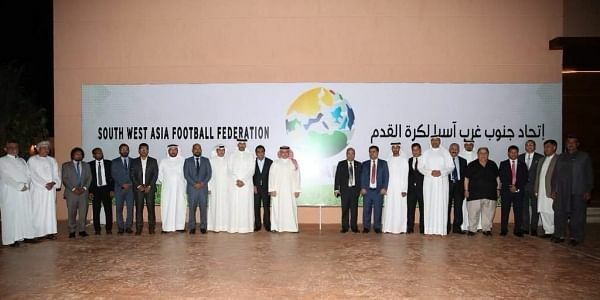 A group of federations, including the All India Football Federation, came together on Thursday night to form the South-West Asian Football Federation in Jeddah, Saudi Arabia, with plans reportedly afoot to create 'the largest Asian tournament in the region'. The birth of the new body is thought to have been seeded by dispute in the West Asian Football Federation, with its Jordanian president Prince Ali bin Al Hussian, who challenged Sepp Blatter for FIFA presidency, reportedly refusing to move the headquarters of the body from Amman to Jeddah. The body's formation has also been interpreted by some as a sign of Saudi Arabia's ambition to dominate/undermine the Asian Football Confederation — the body's president Shaikh Salman bin Ebrahim Al Khalifa was conspicuous by his absence from a group picture released of the meeting. The members of the new body include Saudi Arabia, UAE, Iraq, Kuwait, Bahrain, Yemen and Oman from the West Asian bloc and India, Pakistan, Sri Lanka, Bangladesh and Maldives from the South Asian bloc. As of now, Nepal and Bhutan are the South Asian countries not part of the new body. It will reportedly be headed by Saudi Arabian FA chief Adel Ezzat until its first general assembly which will be held after the World Cup. AIFF secretary Kushal Das, who participated in the meeting, was tightlipped about the role the new body would play in Indian football and on a larger scale. "I am not authorised to talk about it," was his response to a query on the new body. But reports arising in the Saudi media speak of plans to form the largest football bloc after FIFA as a whole. But what of the South Asian Football Federation that India is currently a part of? It is yet as unclear as to whether the body will be absorbed by SWAFF with Das refusing to neither confirm nor deny it. Interestingly, SAFF president Kazi Salahuddin was also at the meeting, representing Bangladesh. Will the upcoming edition of the SAFF Cup — a tournament that India has dominated for long — be the last of its kind? Time will tell.